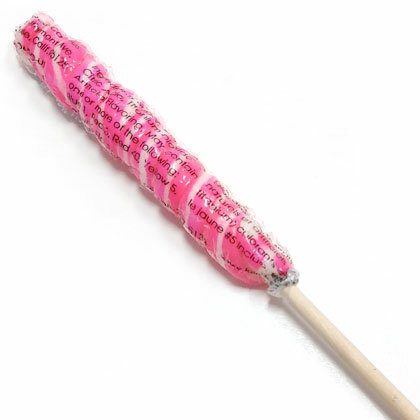 Pink and white spiral twirl lollipop. Candy portion is approx. 5 inches long. Colors and swirls will vary. Approx. 9.5 inches from top to bottom of handle. Net weight 1 oz. Made in USA. One lollipop.